IMPER ITALIA has joined the GREEN BUILDING COUNCIL ITALIA: an association that aims to promote and accelerate the dissemination of a sustainable construction culture, to raise awareness among public opinion and Institutions on the impact that the building design and construction methods have on the quality of life of citizens, providing clear reference parameters to sector operators. 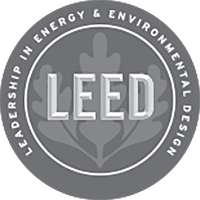 GBC ITALIA has the task of promoting and developing the characteristics and standards of LEED (Leadership in Energy and Environmental Design) in Italy. These are parameters for sustainable construction developed in the USA and already applied in 41 countries around the world, for the development and promotion of “green” buildings. Transform the market and the construction sector.